Financial Management is an intensely personal matter. We treat our clients as unique individuals, providing professional guidance to help you focus on your goals and formulate effective plans to achieve them. We’ll take the time to assess your current financial situation and help you establish your priorities for the future. Together we’ll explore and evaluate your options. Then, recommend a course of action that makes financial sense for your individual situation. We at Professional Group, Inc. are proud that 99% of our clients come from referrals from satisfied individuals who have been working with the firm. 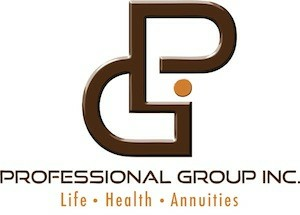 We greatly appreciate you sharing Professional Group, Inc. with your family, friends, and associates. Connect with us on as well!